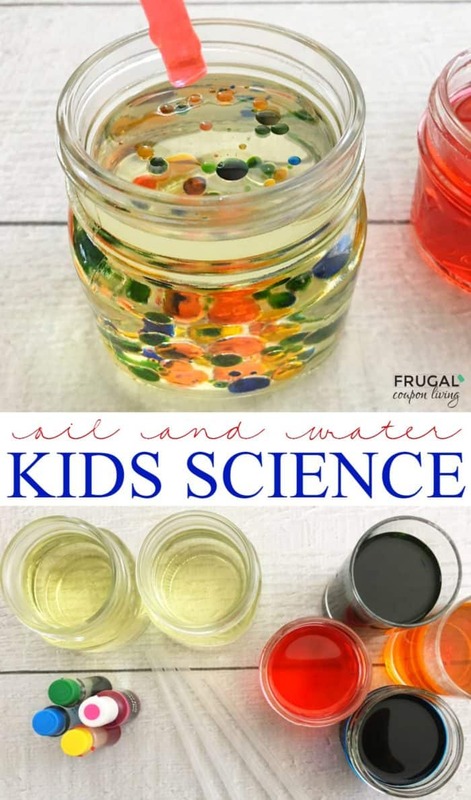 Science Experiments at Home for Kids on Frugal Coupon Living. 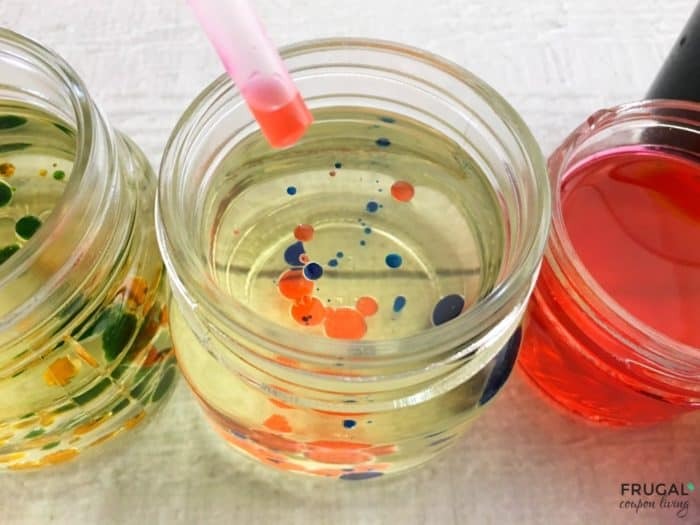 Have fun with a creative and colorful Oil and Water activity! They say somethings don’t mix – like oil and water. Whether you are describing the metaphor of life to your child or you just want to have some fun with an at home craft, this hands-on experiment is colorful, engaging and gets the metaphor of life (or science truth) across! What’s happening: The molecules of water can’t mix with the molecules of oil. Even if you try to shake up a bottle of half-oil and half-water, the oil just breaks up into smaller droplets, but it doesn’t truly mix with the water. Only the food coloring mixes with water. It will not mix with the water. Fill up a small jar or bottle with cooking oil (it’s fun if each kid has their own). Place 1/4 cup of water in 4 separate containers. Dye each water filled container a different color with just a drop or two of food coloring and mix. Set your straw (or eye dropper) into one container of colored water, place your finger tip over the top of the straw, and drop the colored water into the oil by lifting your fingertip off the straw. Watch how the oil and colored water droplets separate. Oil and water separate when combined because water is more dense than oil. It causes the colored water droplets to sink when added to the jar of oil. Encourage the kids to play around with this experiment, when combining different colors do the seek to join together? What about after time? Have fun with science! 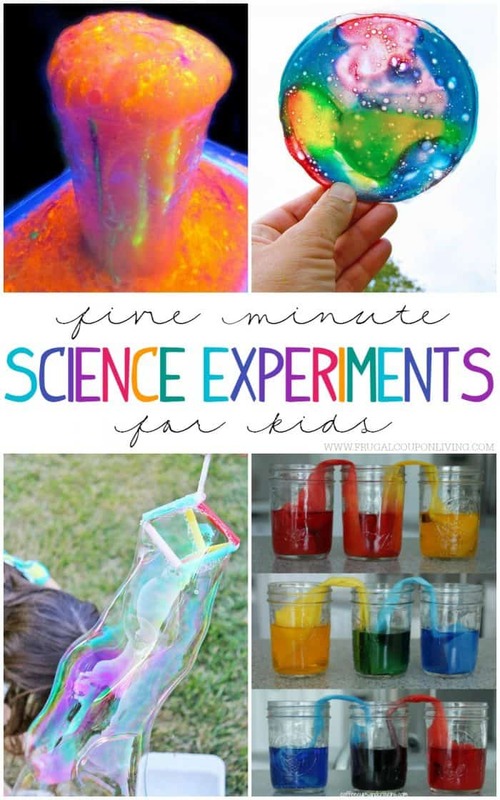 Take a look at these Five Minute Science Experiments for Kids you can do in your home! Pin to Pinterest and save for later! Don’t forget the Kids Science Experiment we shared a few weeks ago! 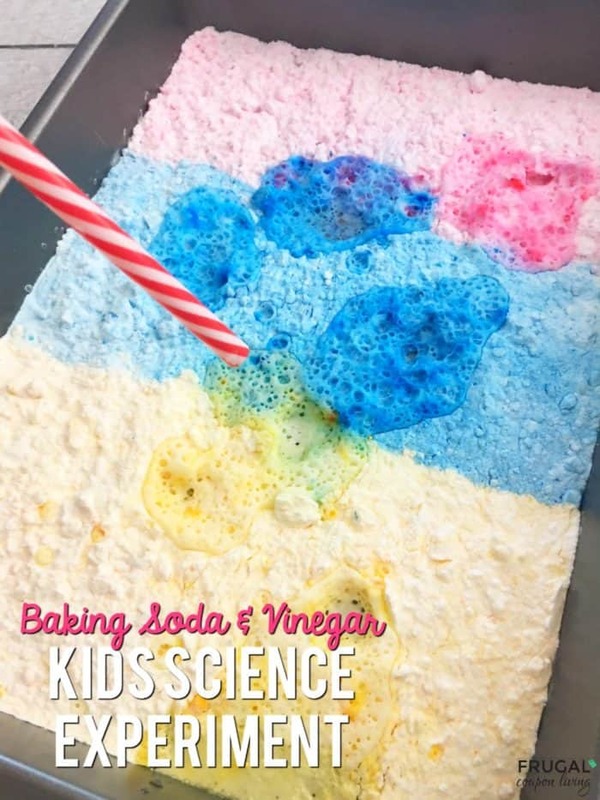 Kids Science Experiments at Home | Baking Soda and Vinegar. Pin to Pinterest. 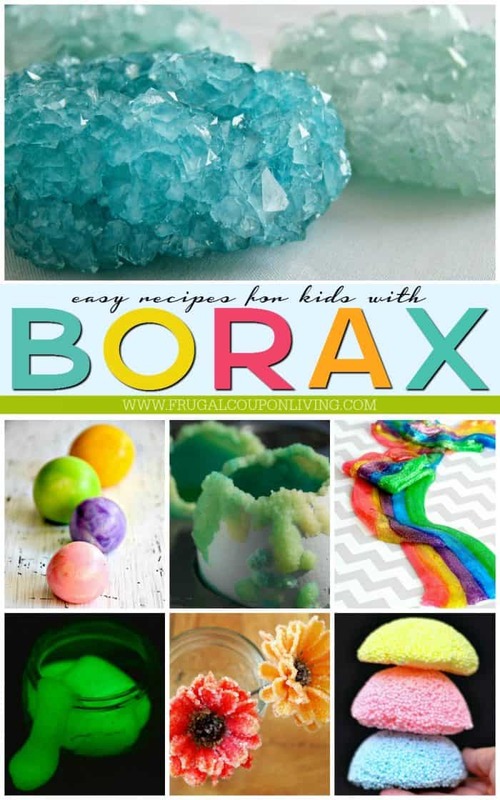 Also take a look at these Easy Borax Recipes! Make creative crafts. The kids will never realize they are learning! Pin to Pinterest.